Having returned from New Caledonia late last year I started asking a few people about their watermakers, what they had, what they thought of it etc. "We have a Rainman and know several people that do. We have the 140 litres an hour unit and have used it extensively. We love it. It's easy. It does exactly what it proclaims to do. We have built ours in now so we don't have to keep pulling it out and setting up. Even that is easy. We would give the unit a 10 out of 10. While we were in Vanuatu we even used it to make water for villagers in the Maskelyne islands. We along with other boats filled up a massive water storage until for for islanders"
Others I spoke to also had great things to say about their Rainman Watermaker so I decided to do some more research. I also discovered that Rainman Desalination was the recipient of several industry awards and many positive reviews. At the end of my research I decided I liked what I had learned and heard, and it was time to see if Rainman Desalination would like to partner with the Down Under Rally". $400 off the retail price of any NEW Rainman Watermaker system. Contact either of the Rainman Watermaker dealers listed below. Provide them with your Down Under Rally or certificate of participation. Get $400 off the retail price of any NEW Rainman Watermaker system. Best Kept Secret in the Pacific ? 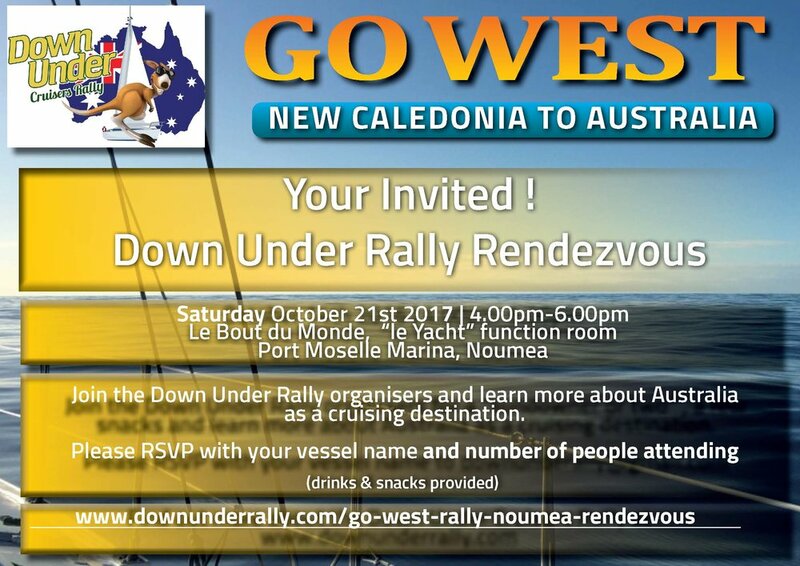 In September the Down Under Rally made special arrangements with the New Caledonian Authorities allowing a limited number of yachts to obtain clearance into New Caledonia in the Loyalty Islands. Normally you cannot stop anywhere in New Caledonia without first having cleared into the country and the only official clearance port is Noumea on the western side of the country. This often means that many yachts do not get to visit one of the most pristine cruising destinations that the pacific has to offer, the Loyalty Islands which are on the eastern side of New Caledonia. We have made this short video to share what we truly do believe to be some of the finest cruising on offer. We hope you enjoy watching it because we loved doing it ! 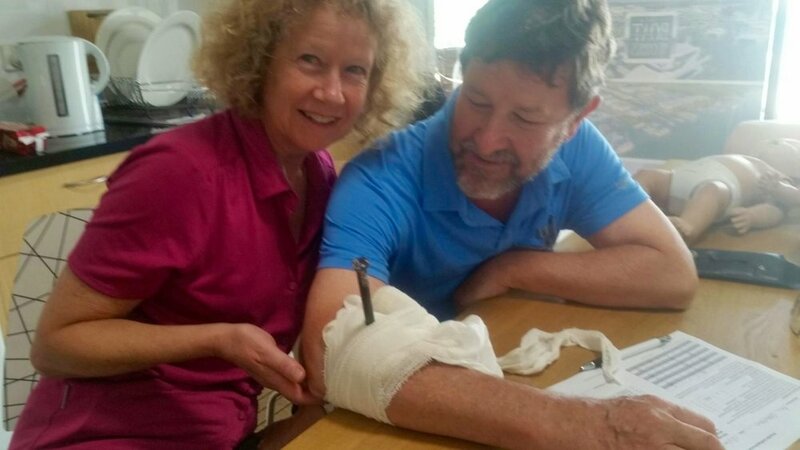 Join the 2017 Go East rally participants as they prepare for the voyage, sail to, and arrive in New Caledonia. The Australian Marine Industry Awards are presented annually to reward the outstanding achievements of Australian businesses in the marine export, superyacht and commercial sectors. 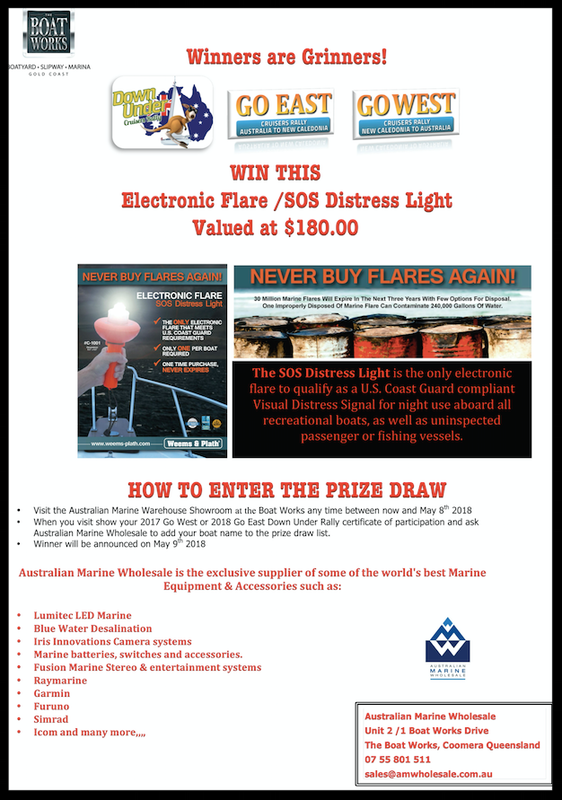 The Awards are organised by the Australian International Marine Export Group (AIMEX), Superyacht Australia and the Australian Commercial Marine Group (ACMG). We were disappointed not to be able to attend the awards ceremony as we were on passage with the Go East Rally on the night however we would like to thank AIMEX and the panel of judges for choosing The Down Under Rally us as the award recipient. We are humbled and very grateful to receive this recognition of our efforts to date . For those who are interested below is what was read out on the night the award was announced. "The Down Under Rally is a service provider within the Nautical Tourism sector holding two yacht rallies on an annual basis for cruising yachts. The rallies are the Down Under “Go West” Rally & The Down Under “Go East” Rally assisting cruising yachts make their way to Australian waters. 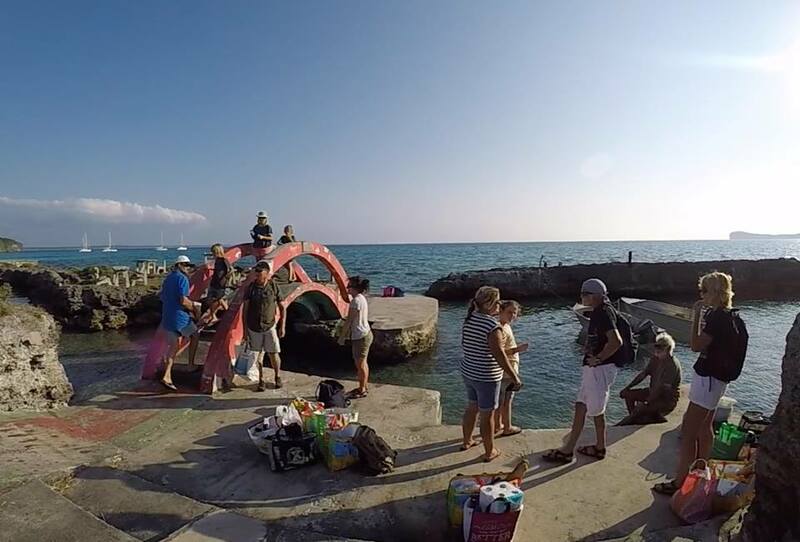 The rally provides participants with incentives and benefit’s and is a great way for visiting yachts to meet other cruising yachtsmen & women with whom they can share the experience and the journey. The activities of the Down Under Rally are focused on increasing the number of yachts that visit Australia and in turn assist in securing more revenue for the Australian tourism and marine sector. Down Under Rally director, John Hembrow and his wife Leanne have been Nautical Tourists for the past 8 years. Their approach to attracting more vessels to Australia has certainly seen an increase in yacht visitation. Congratulations Down Under Rally!"